I’ll be quite honest, I wasn’t the biggest fan of Kingz Kimonos in the past and I wasn’t very enthusiastic while waiting for this Gi to arrive. I can’t tell you how happy I am that I got this Gi for review. It is a QUALITY piece. The embroidery is downright schnazzy. To the full review we go! The best place to grab the Kingz V2 is over at Fighter’s Market. The Kingz 450 COMP V2 gi is a 450 gram weight jacket top made of traditional pearl style weave material. This is a great competition and daily training gi. Easily my favorite aspect of this gi is it’s fit. The tailored fit is exceptionally tailored to my body type specifically. 5’10, 195lb frame. The thickness of this Gi is nice. 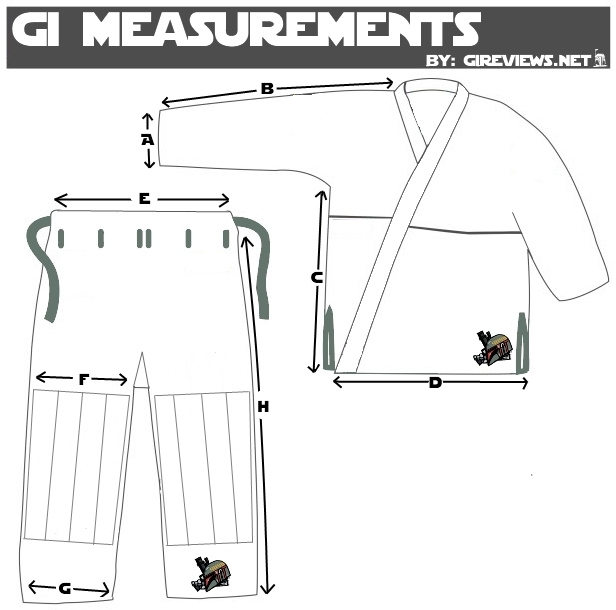 It claims “ultra-lightweight” but that’s just marketing, this Gi is on the medium side of the weight bracket. It’s a great all around weight. Like I mentioned before, the embroidery is top notch and really scales up the quality of this Gi over it’s predecessors which used thin patches. The inside seam tape on the sleeves and skirt are comfortable and provide no irritants. The yellow color also contrasts quite nicely. The collar is sturdy and comfortable, it’s not flimsy and virtually non-existent like a lot of cruddy collars that have been coming out lately. The pants, like the top, are of exceptional quality. Comfortable and durable, pretty much all you can ask for in a pair of pants. The pants were a couple inches too long for me (A3 pants, 5’10″ height) but that’s a personal issue. I usually fit into a nice A3 top and A2 pants. No fault of theirs though. The seam tape again causes no issues. The pants were thick but not too heavy and had a luxury “feel” to them. Take that non-scientific who ha for what you will. The 6 loop belt system worked well and has been upgraded over previous releases with the industry standard stretchy rope draw string. Maneuverability wise I had no issues, the crotch has the same cotton gusset but has plenty of space for flexibility. The small Comp 450 logo on the left pant leg is just as quality as the embroidery on the top. If you want to feel like a King, buy one of these Gi’s. They are reasonable priced but don’t come with a gear bag. As a special bonus for our fans Kingz is offering a coupon code for one of their rashguards which fits and feels great. The Kingz logo on the sleeve and the crown in the center of the chest are sublimated. I love me some sublimated graphics! Just add the rashguard to your cart in whatever size you need, click here, and use code “gireviews” at check out for a Free rashie! A small hole has appeared on the back of the collar next to the shoulder logo. An even smaller hole appears to be developing on the opposite side as well.